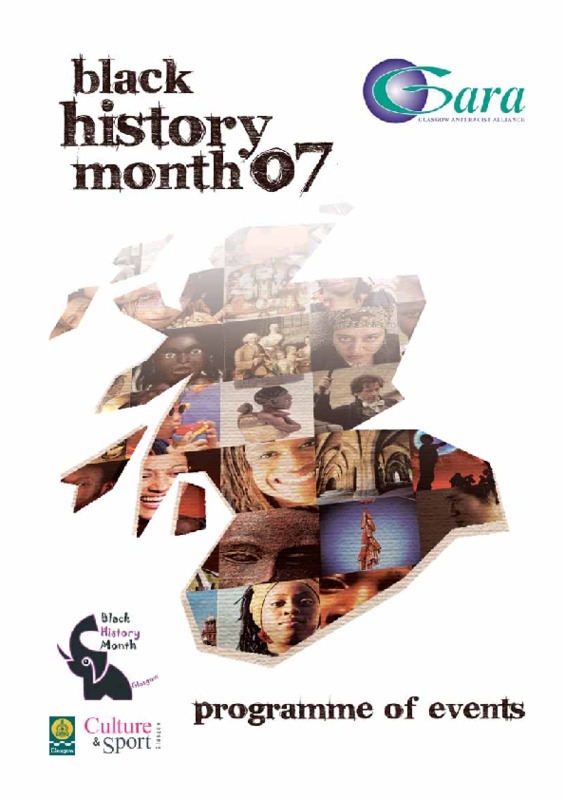 Glasgow Anti Racist Alliance (GARA) organised a programme of events for Black History Month in October 2007 with a particular focus on the bicentenary and engaging people in the importance of Black history. GARA were supported by Glasgow City Council Education Services and Culture and Sport Glasgow. Events included talks at the Hunterian Museum, interactive exhibits at the Glasgow Science Centre and film showings, capoeira and African drumming workshops at the Glasgow Film Theatre. Sugar & Spice Sunday on 14 October marked the bicentenary with a festival of commemoration and celebration through films and events. GARA also hosted Black History Tours around Glasgow to explore the city's hidden slavery history.